← Can I get a do over? FINALLY it has arrived!! After 3 flipping weeks in the mail, the hoodie I ordered for Isabella from Kara’s Etsy site has arrived. 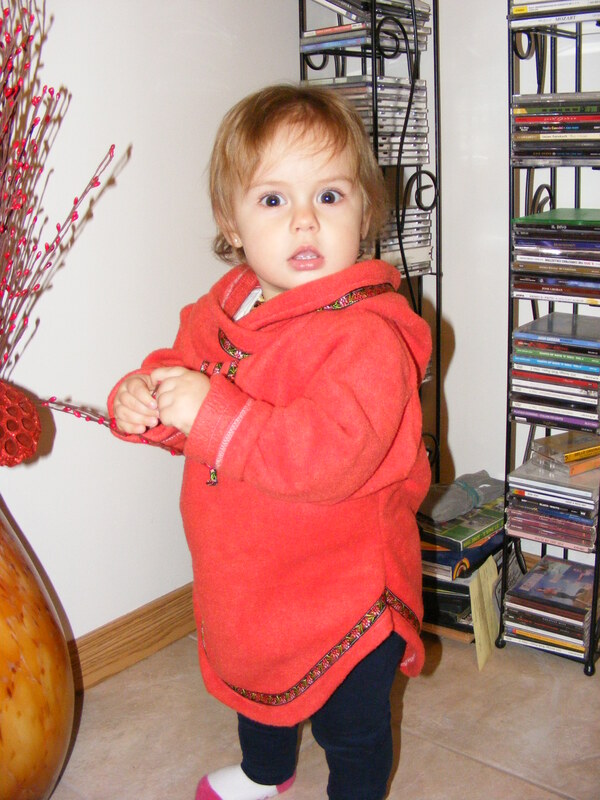 Kara from ﻿﻿﻿﻿﻿﻿Faro Yukon has a blog site called The Adventures of Matt, Kara, Hunter and Cavan in Faro, Yukon had posted a picture of a hoodie she made her son. I thought it was adorable! Then she mailed one to another blogger Jen of Jentography for her little girl and decided I really wanted one for Isabella. She didn’t have one in the colour I wanted but was more than happy to make it for me and well I love it!! 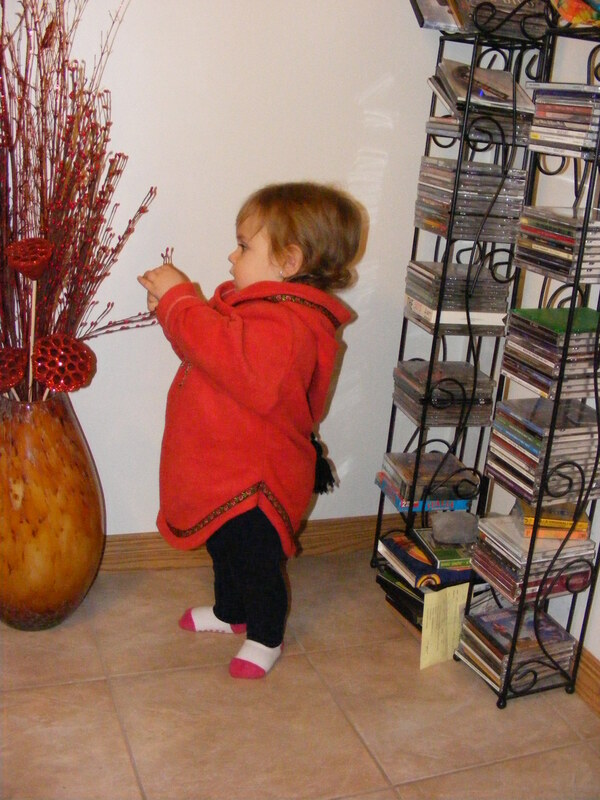 The only problem was trying to get a decent picture of Isabella wearing it…. this is the best I could do for now. I’m hoping that I can get a nice picture of her wearing it. Preferably one with out the stunned look! I’m so glad that the hoodie is a bit big for her actually a lot big because then she can wear it next year too. And if not then I’ll just have to ask Kara to make another one for me! Maybe this time Canada Post can get speed things up. I’m also going to post the link to her Etsy site, she has some amazing things on there!! I would love a pair of those mittens, but living in Southern Ontario …. I don’t think I need fur-lined ones 🙂 very tempting though! Kara’s Etsy Site GO HERE AND BUY SOMETHING!! She makes it all by hand. This entry was posted in Isabella, shopping and tagged clothing, Etsy, hoodie, Shopping. Bookmark the permalink. She looks adorable!!! Yes, a bit big, but it will get her through a number of seasons and she still looks awesome in it now!